Members of the engineering profession recently celebrated Engineers Week with events across the country. Employees in Garver offices celebrated by encouraging the next generation of engineers. 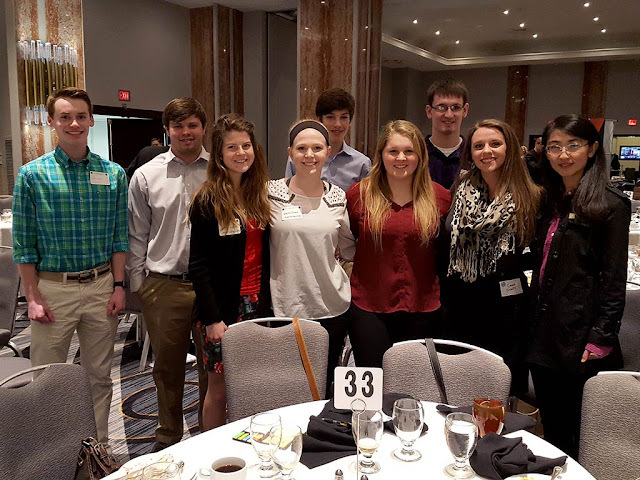 Employees in our Kansas City area offices purchased a table at the Kansas Society of Professional Engineers/Missouri Society of Professional Engineers E-Week Luncheon, where Garver engineers got the opportunity to eat lunch with high school students and discuss what the profession entails. Employees in our Dallas office hosted two interactive stations at the Frontiers of Flight Museum at Dallas Love Field. 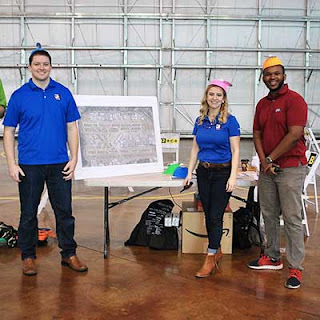 The event gave Dallas Independent School District students the opportunity to engage in hands-on engineering activities, demonstrations, and presentations led by Garver and Science, Technology, Engineering, and Math (STEM) partners. 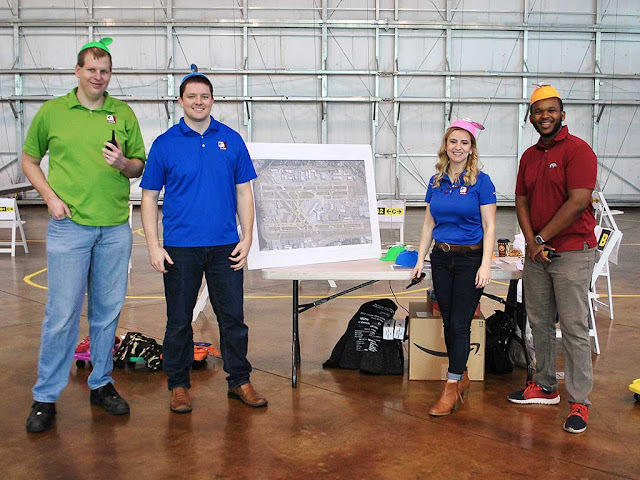 One table offered a Garver-designed airfield navigation simulation to explain the importance of air traffic controls and signage at airports. At another table, Garver’s Hydrology and Hydraulics Team provided students the chance to understand the critical role that floodplains play in the life of a watershed and the impact of development and human activity through using an innovative, hands-on flood simulator. To see more photos of how Garver employees celebrated E-Week, visit our Facebook page here.